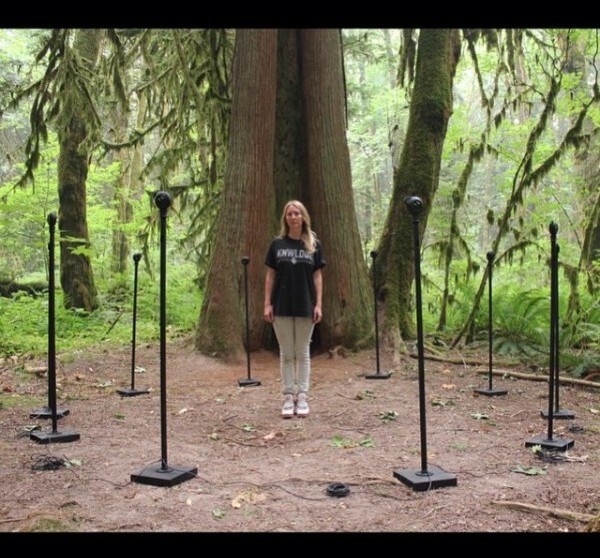 Talking Circle features sounds recorded in the natural environment of Squamish, British Columbia, interwoven with composed translations of the phrase “This Beautiful Day” in Squamish language (Halth Skwile Te-staas). 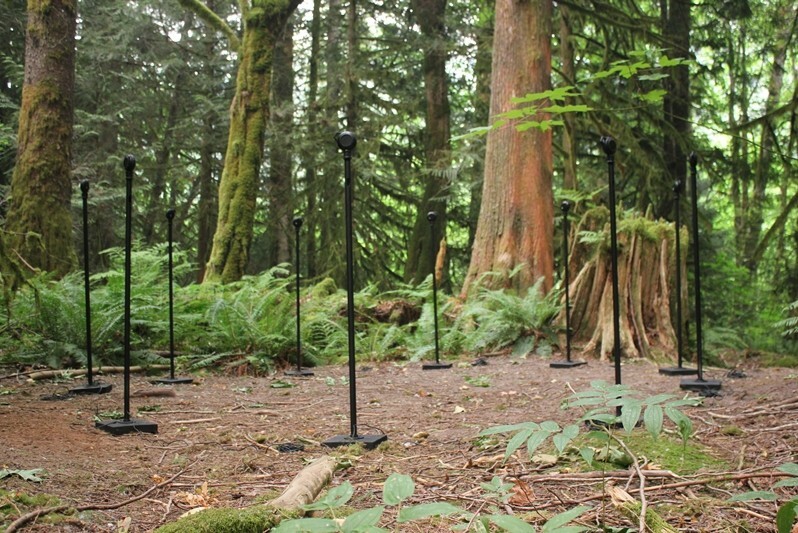 Talking Circle is an immersive, multi-sensory installation that offers participants an opportunity to transcend their own natural borders while inviting them to appreciate the soundtrack of nature. 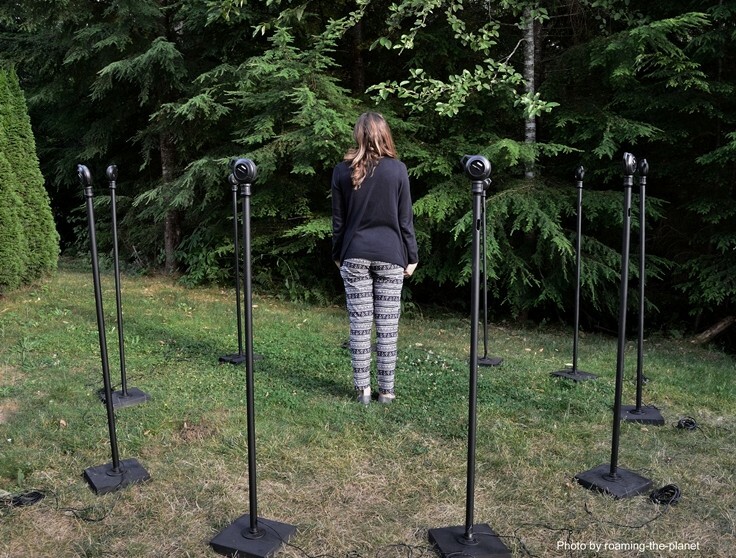 Talking Circle consists of ten speakers, installed in a circle, whose arrangement invites viewers to stand amongst them to listen to the sound composition. 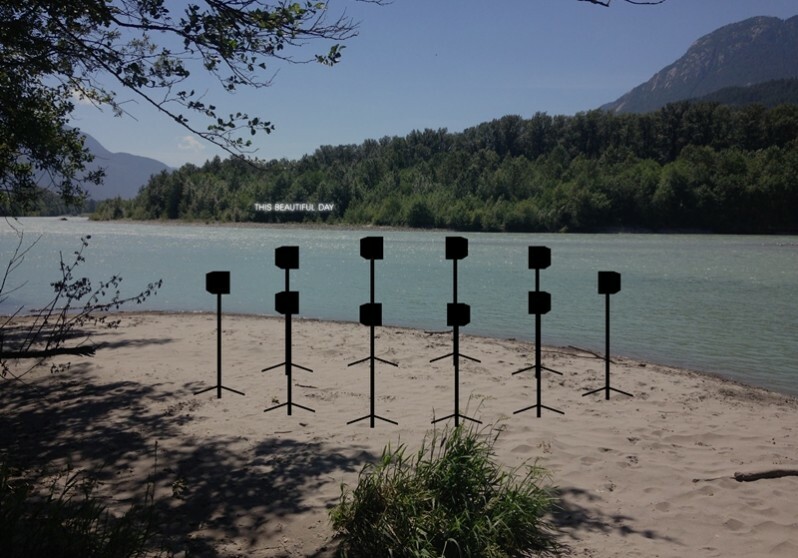 These sounds are natural and man-made field recordings found within the Squamish area that present a heightened sense of reality. Viewers are encouraged to listen intently to those sounds which surround them each day, and to acknowledge and respect the profound beauty of this environment. Interwoven through the natural sounds are soft whisperings of the phrase “This Beautiful Day” in the Squamish language, of which there are only ten remaining fluent speakers. In both of her Biennale artworks, This Beautiful Day and Talking Circle, McIver wishes to highlight environmental concerns and the endangered languages of First Nations communities, two issues that also affect Australia and its indigenous communities.